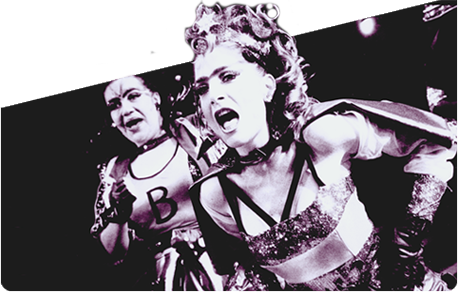 There are lots of resources available to support your production, ALL of which are included in your license fee. 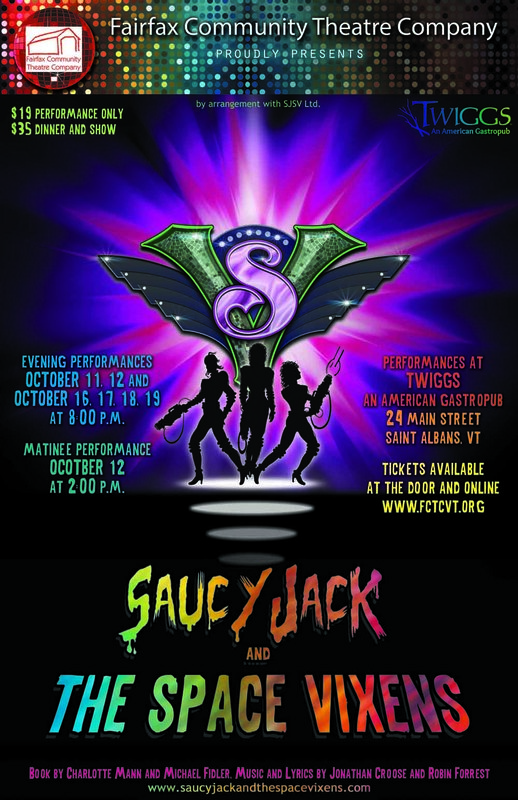 They script and score are available to peruse now and you will receive download codes for everything with your license. 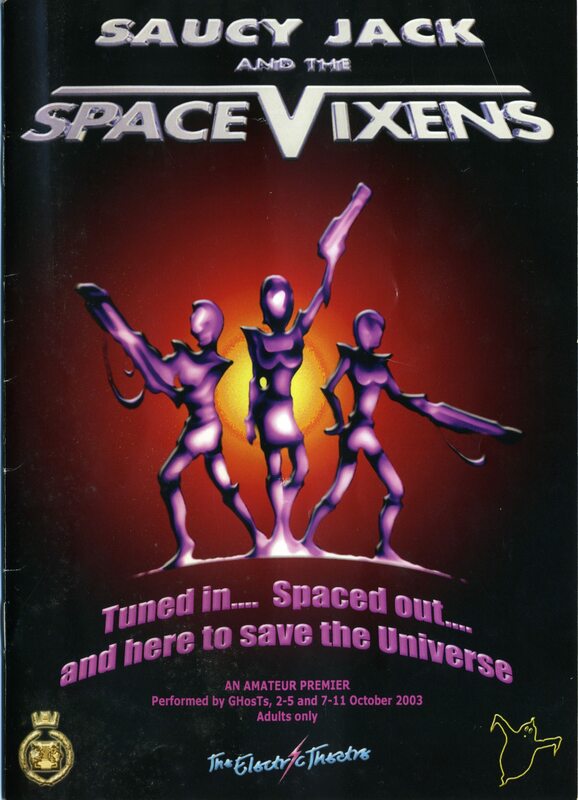 The script is in a pdf version which you are free to copy. 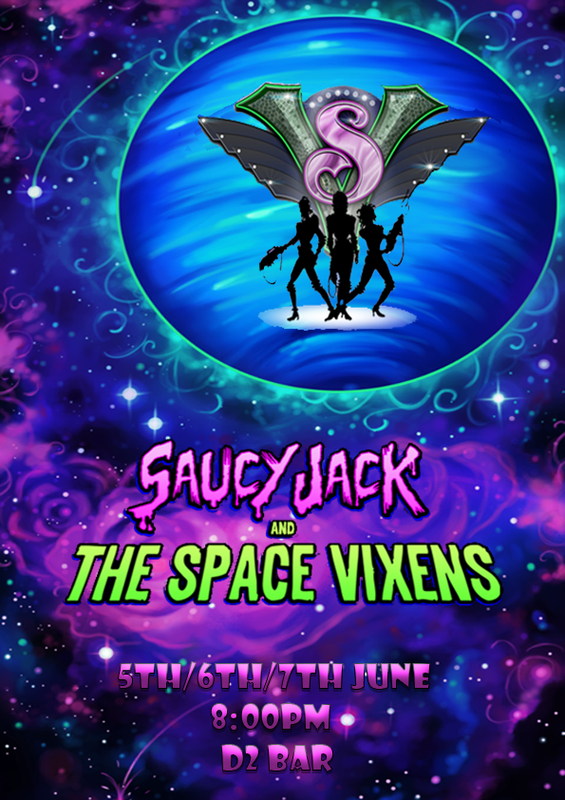 You can also send out the download codes to members of your company so they can download their own copy, and even read it straight off a phone or tablet. 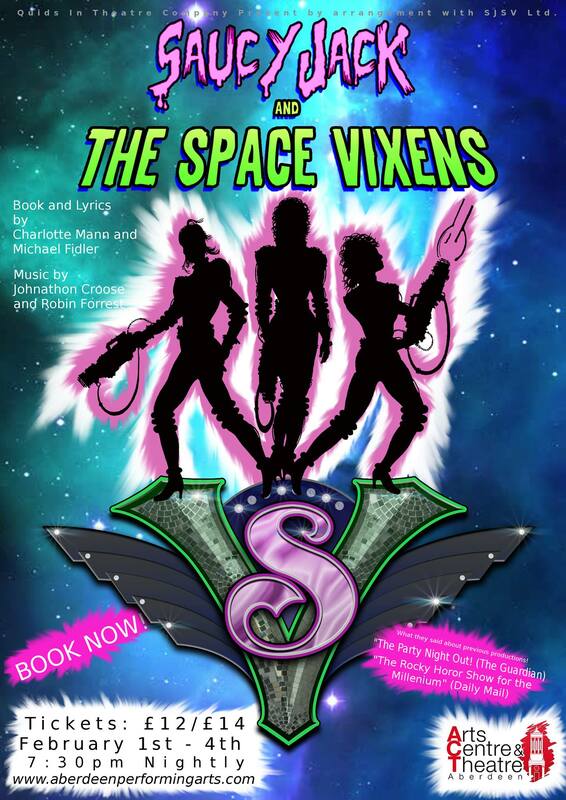 The score is also in a pdf format and you are free to peruse it now. 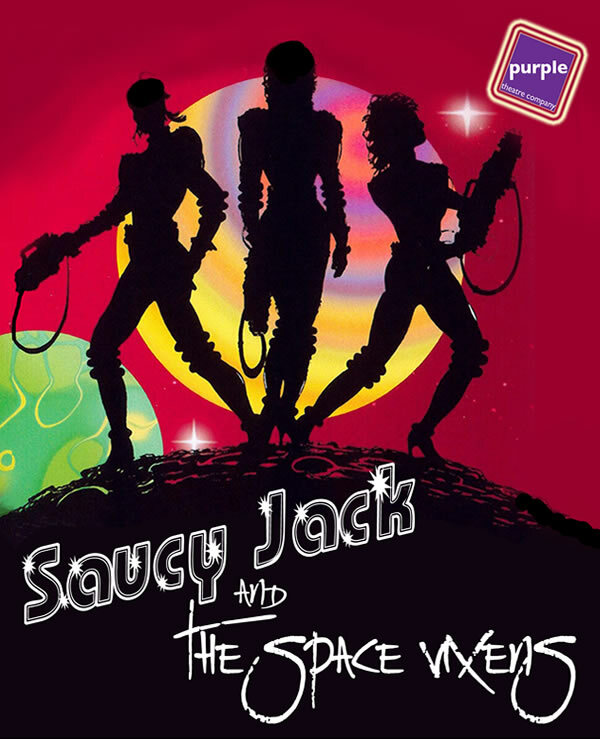 It is written for rehearsal piano and vocals. 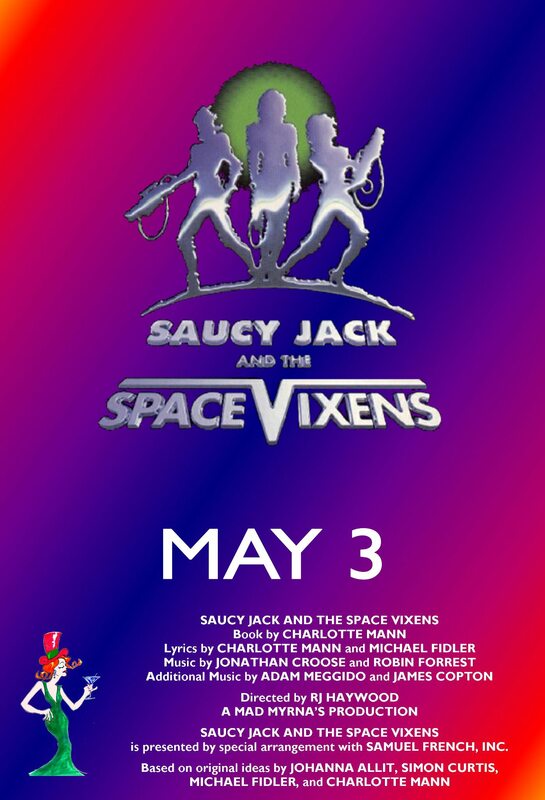 Backing tracks for rehearsal are available in mp3 versions. 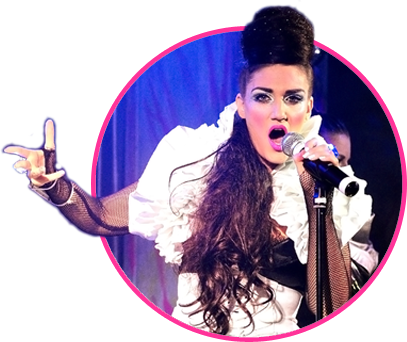 They are exact duplicates of the tracks that you will ultimately use in your production (with audio watermarks). 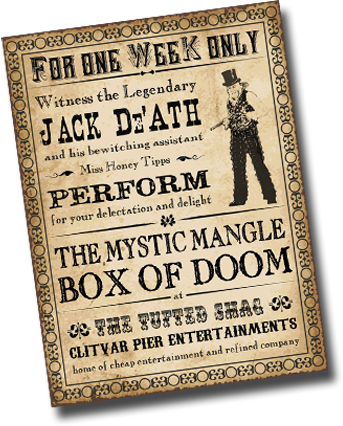 These can be copied and distributed as required. 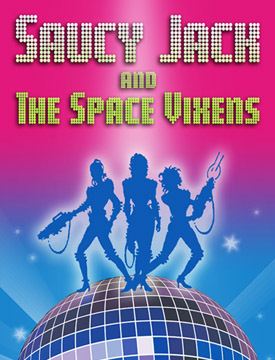 You are free to use the included poster template and just fill in the details, or design your own poster from scratch. 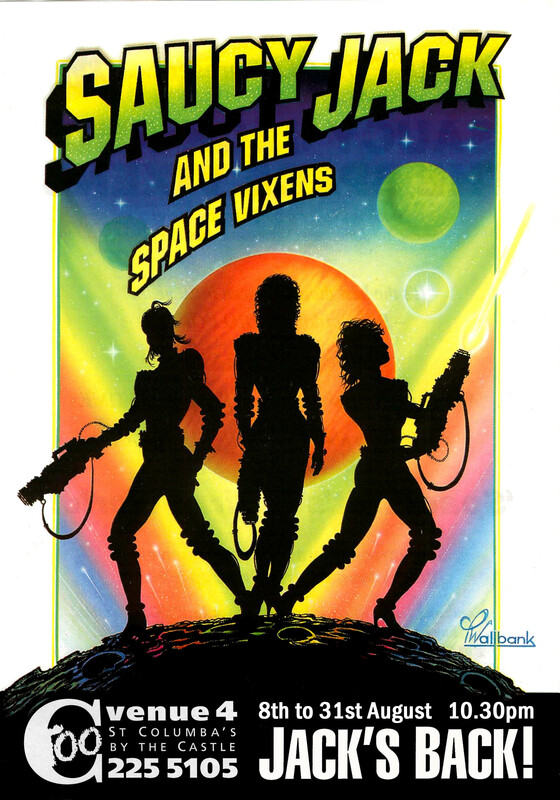 The only stipulation is that you use the 3 girl logo as a central element in your design. 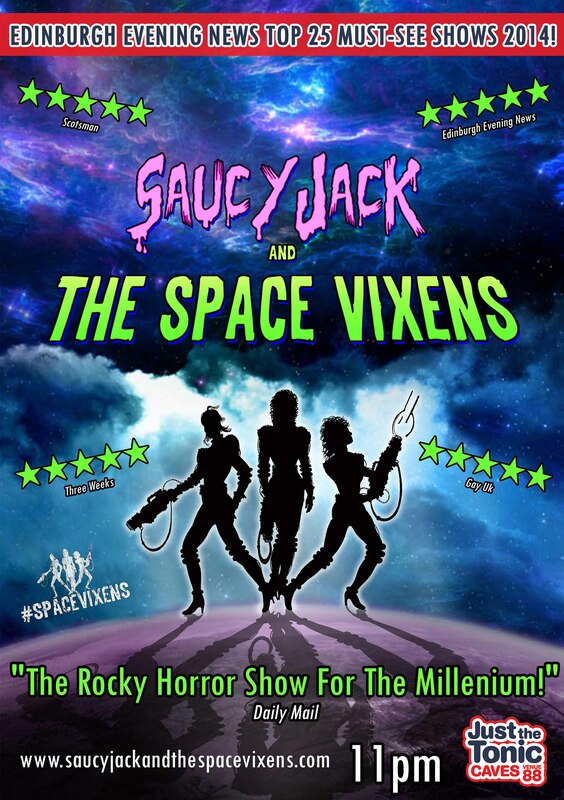 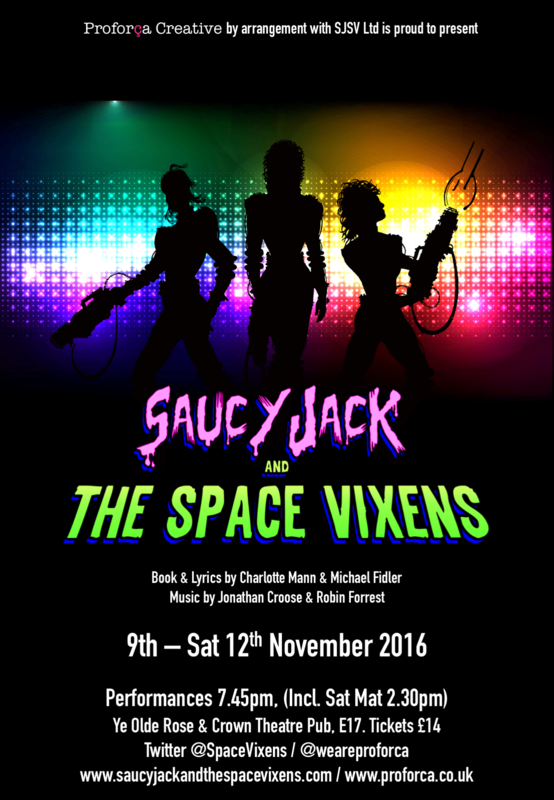 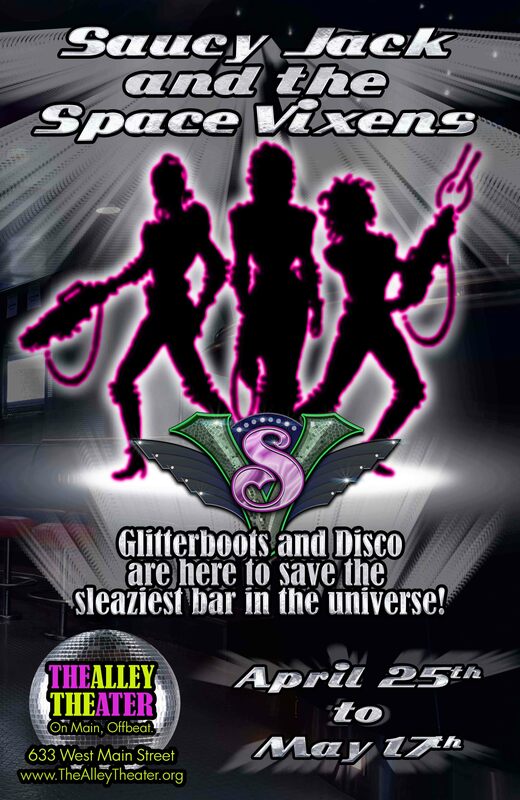 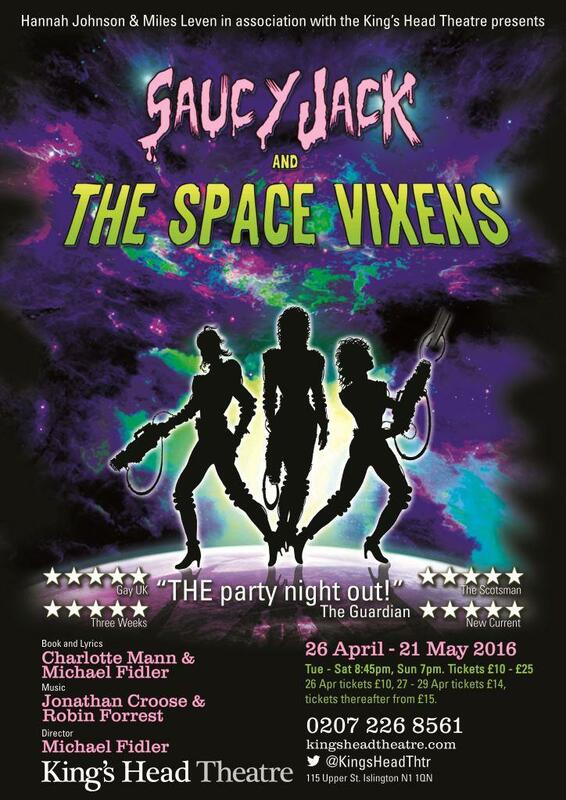 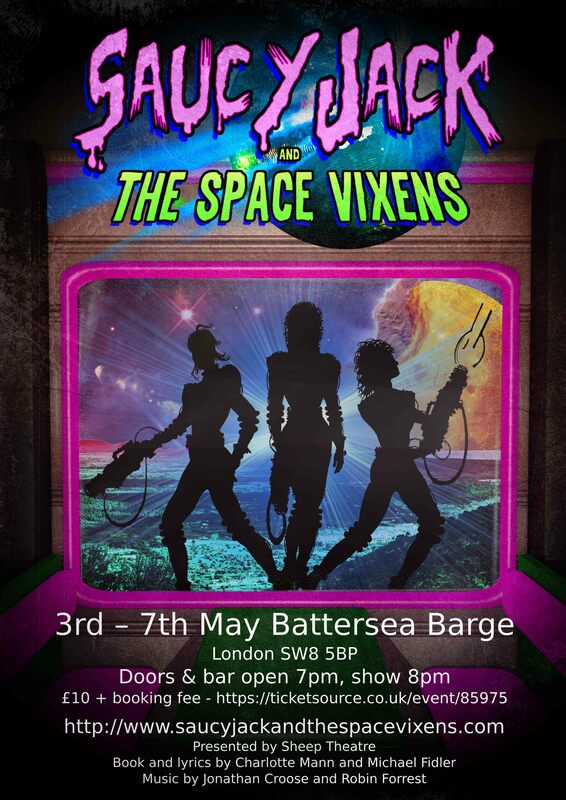 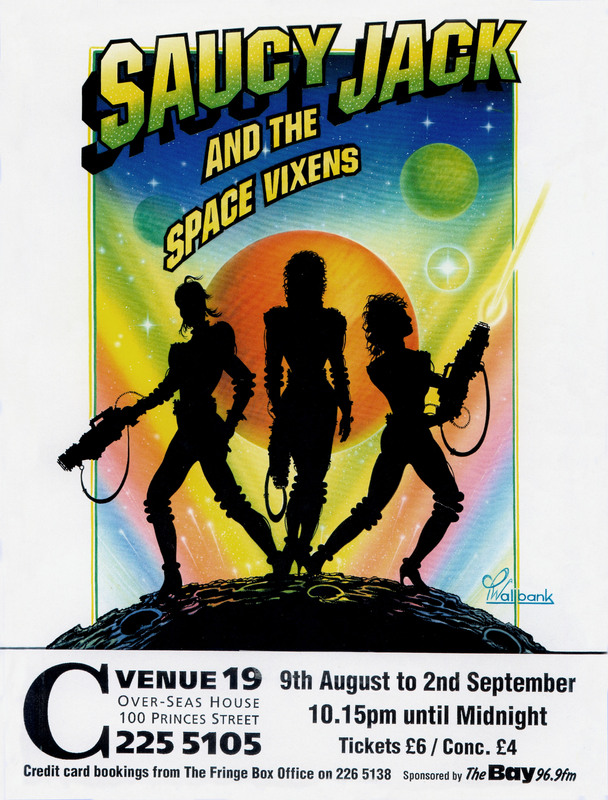 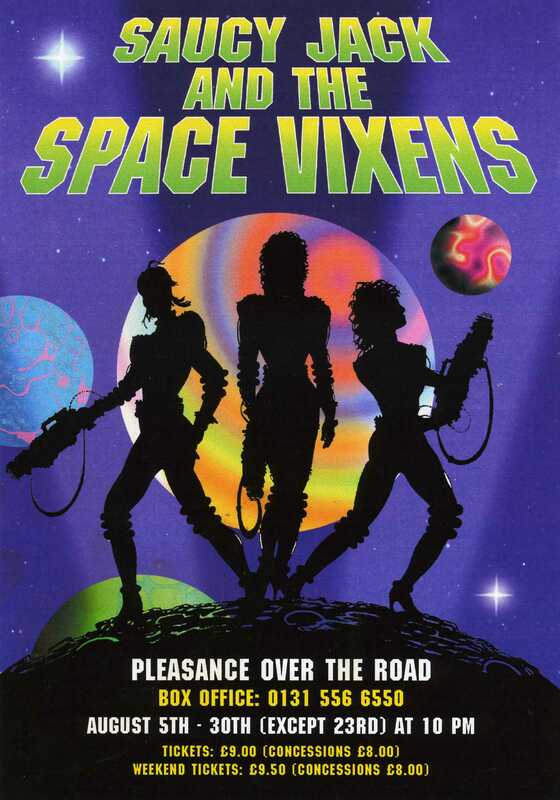 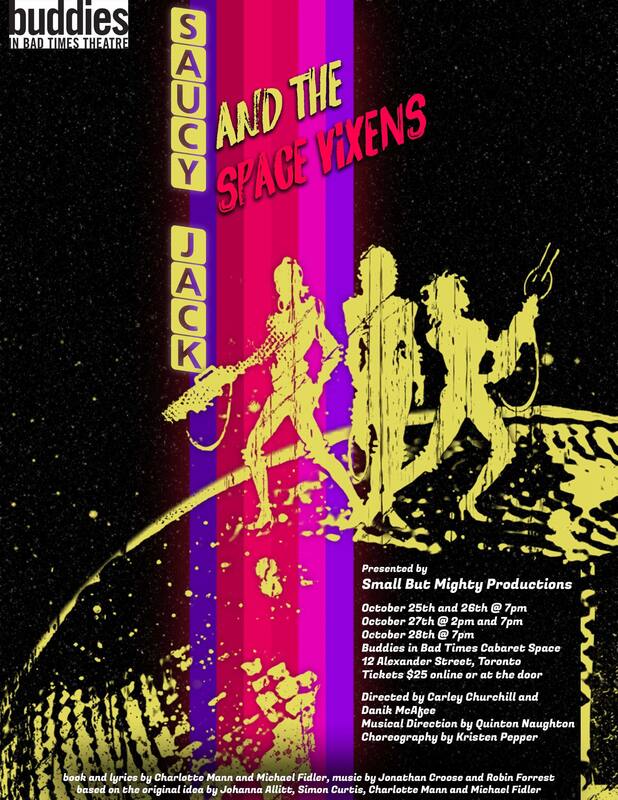 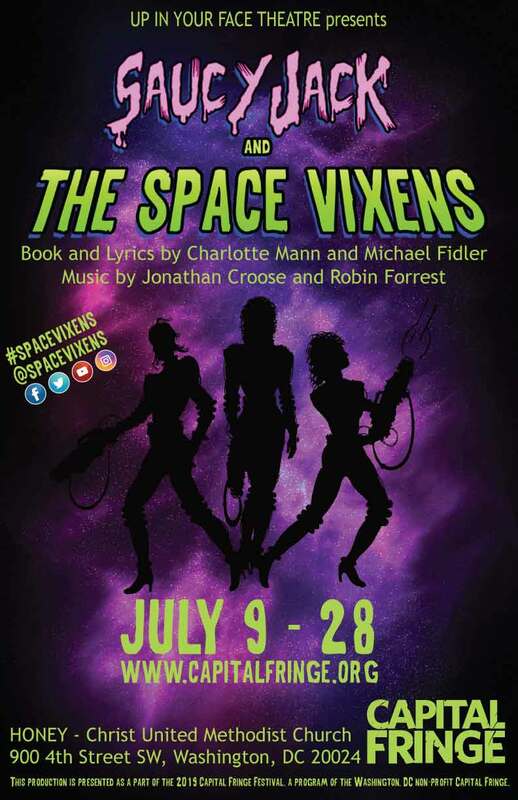 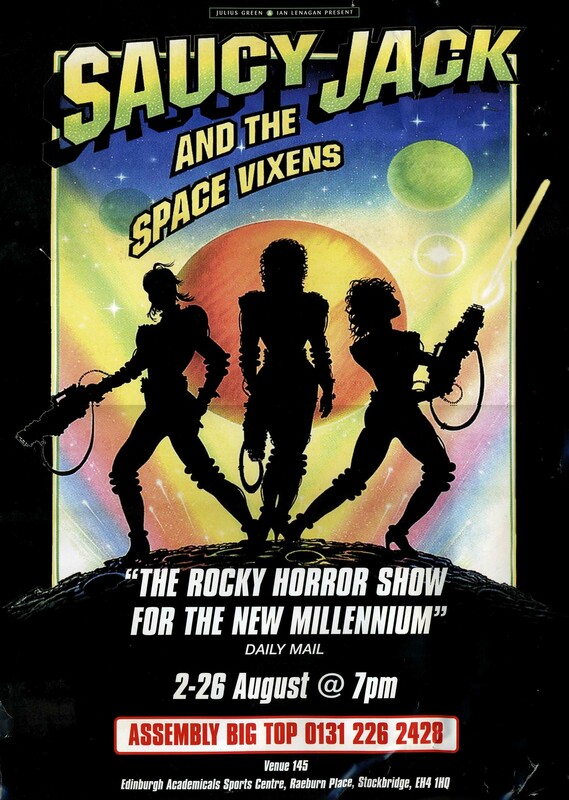 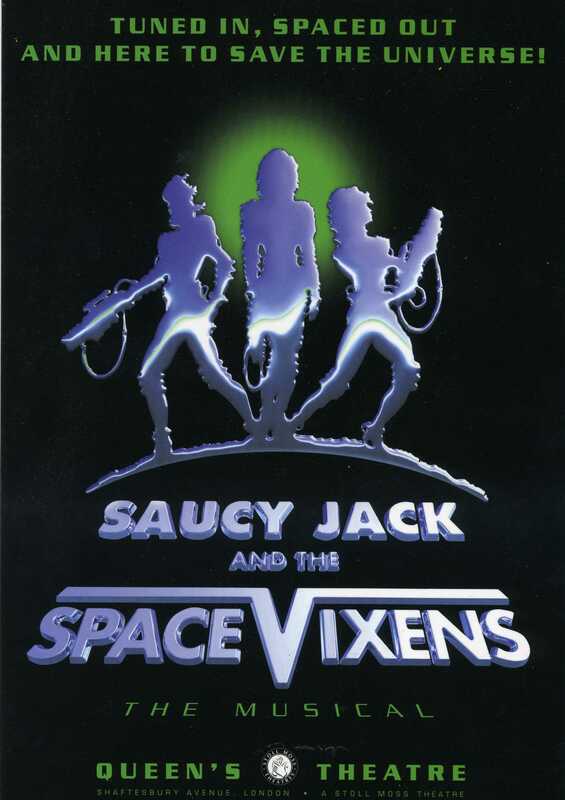 Various pieces of Saucy Jack and the Space Vixens related artwork and copy are available to support the content of your programme, if you have one. 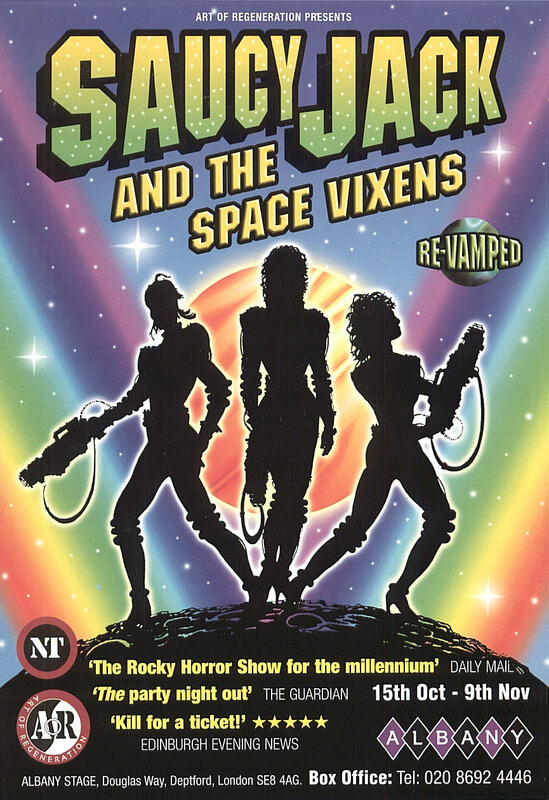 You are free to use these or not, as you wish. 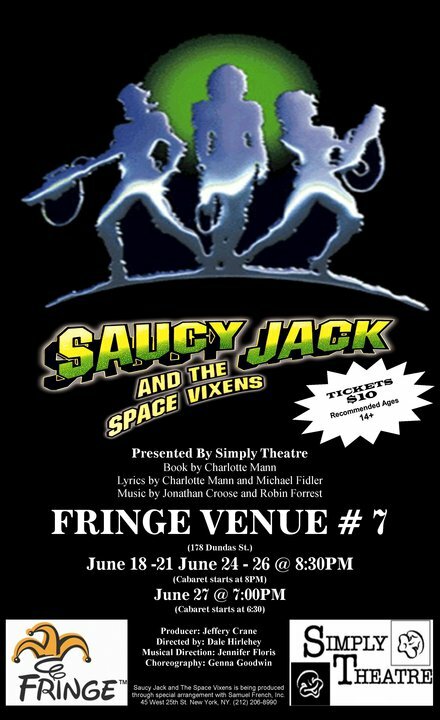 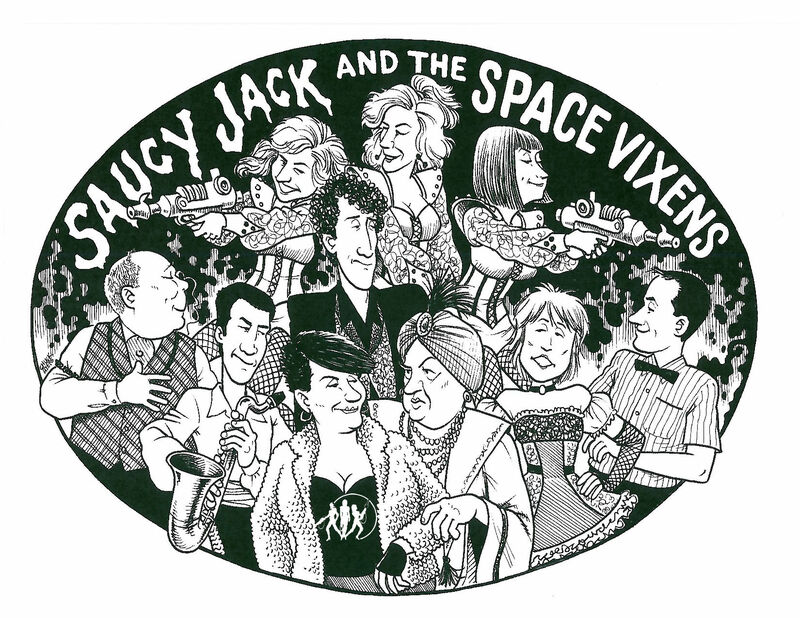 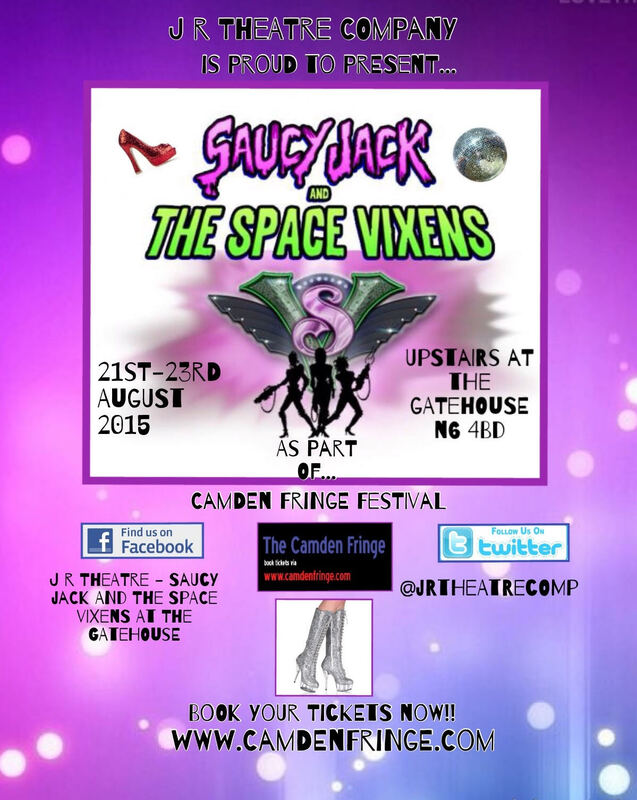 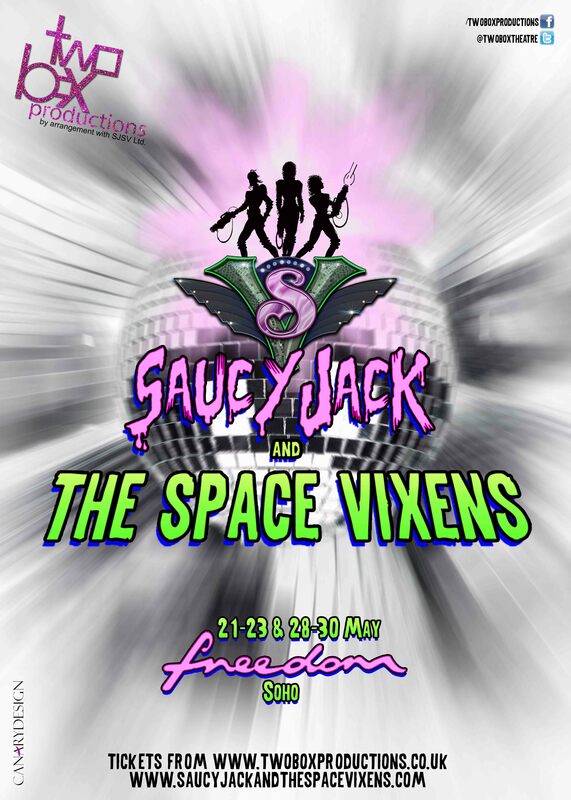 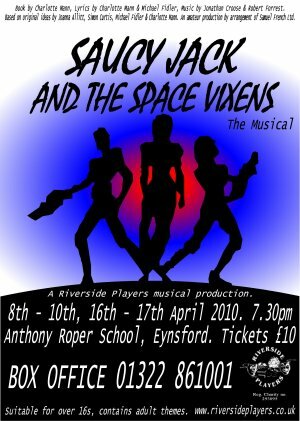 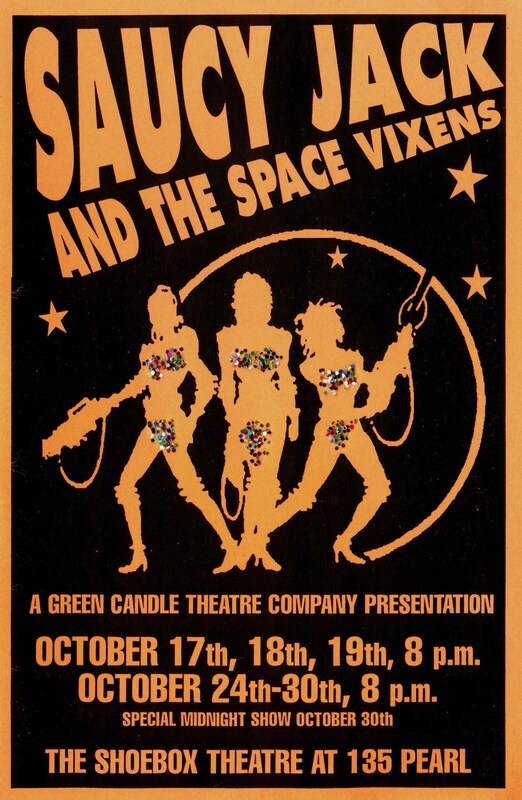 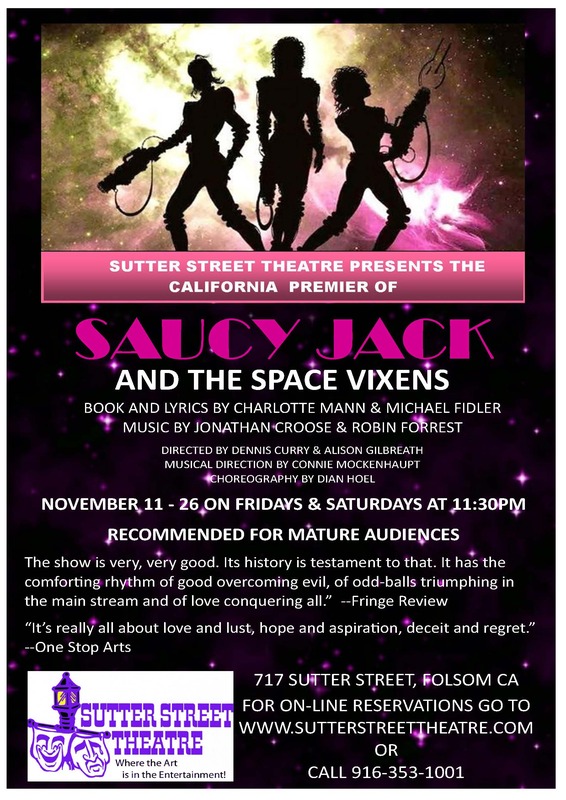 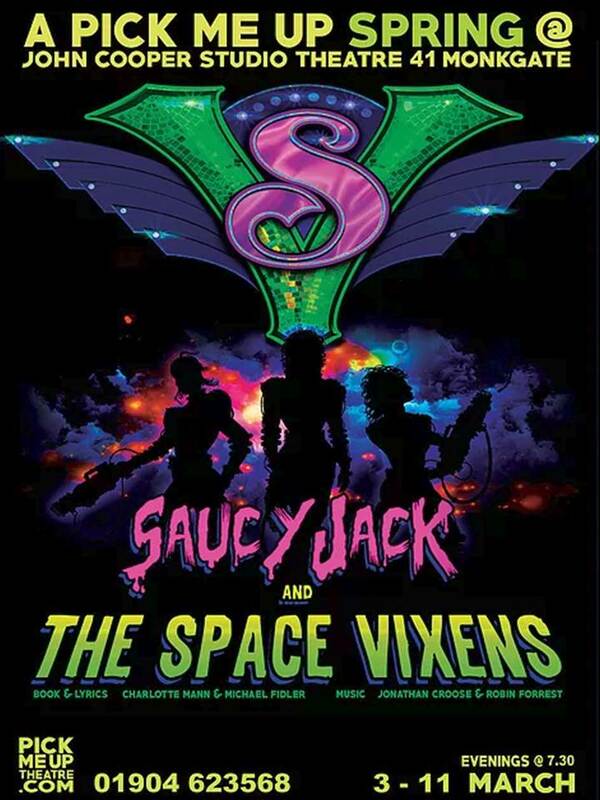 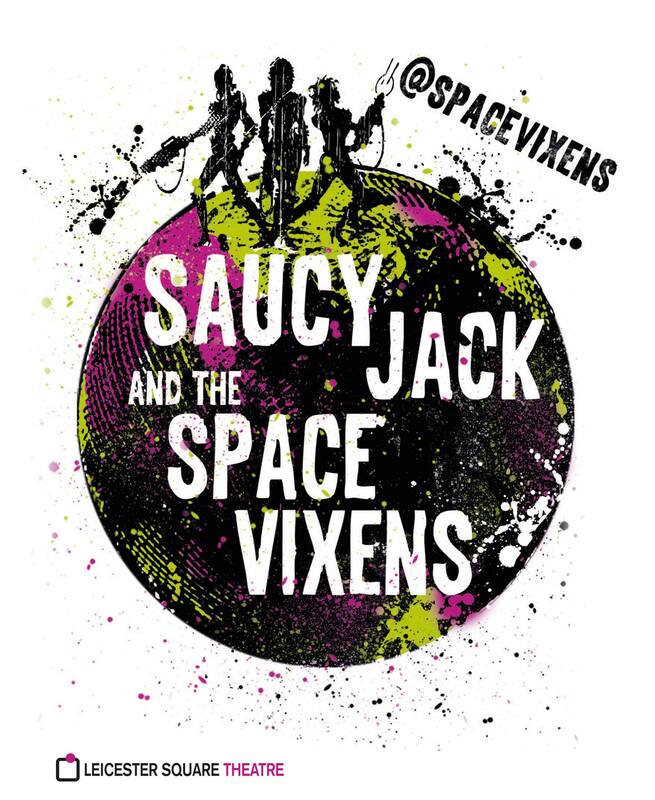 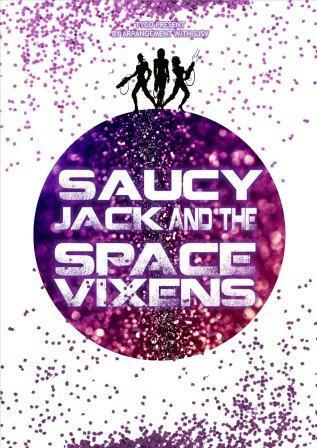 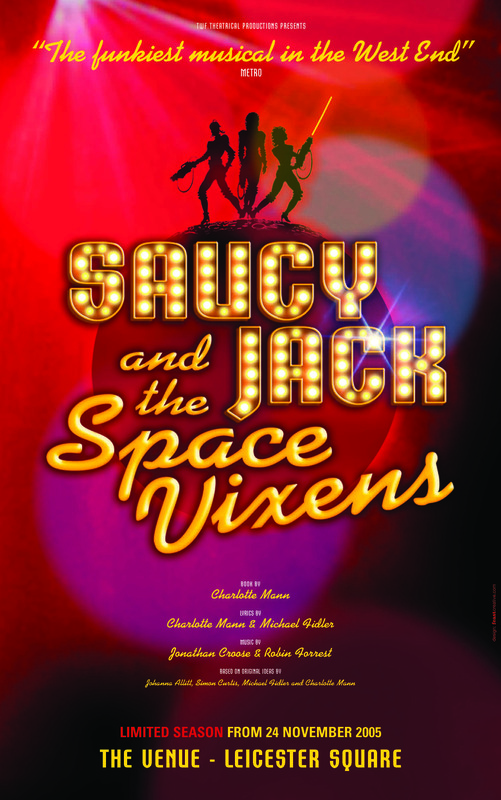 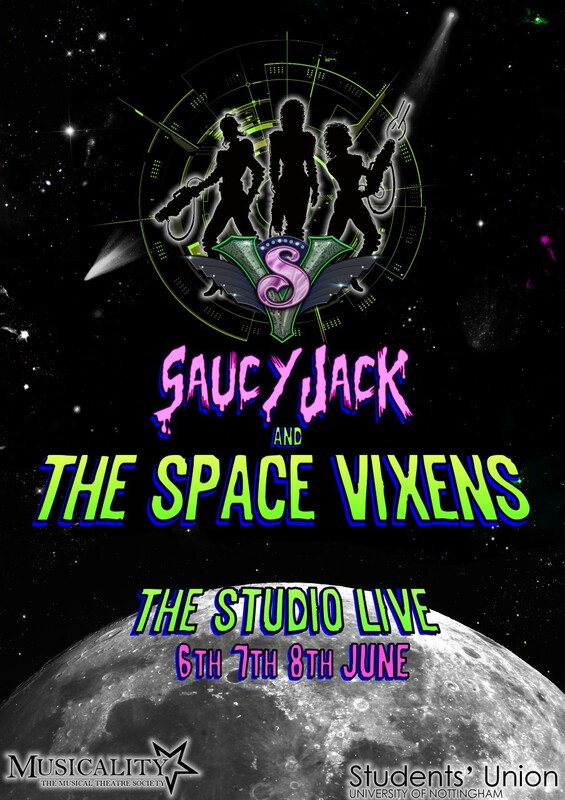 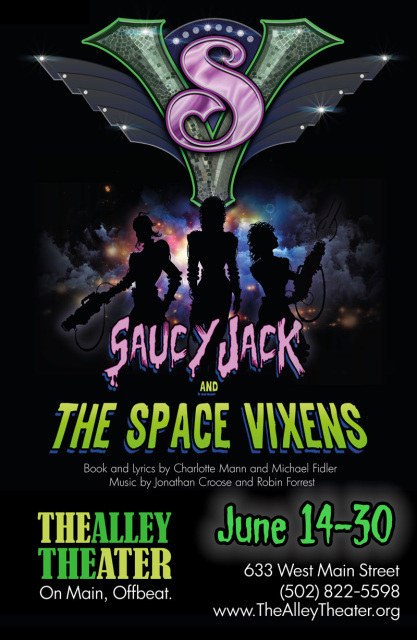 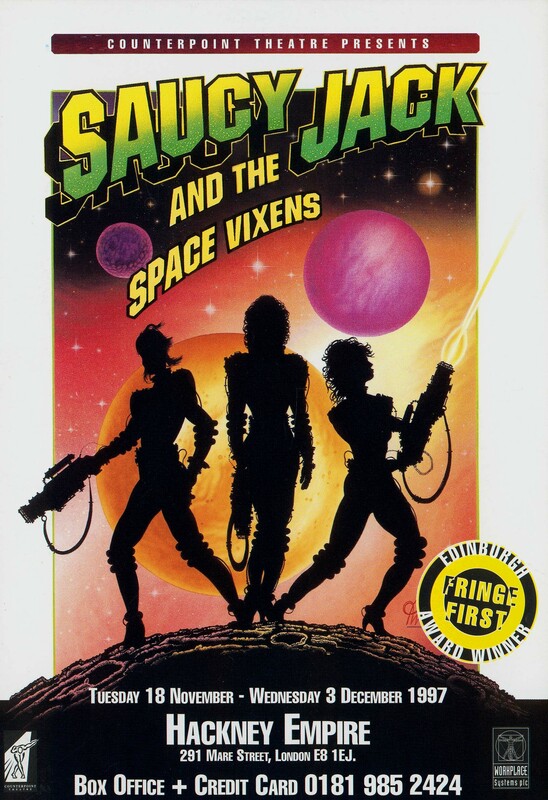 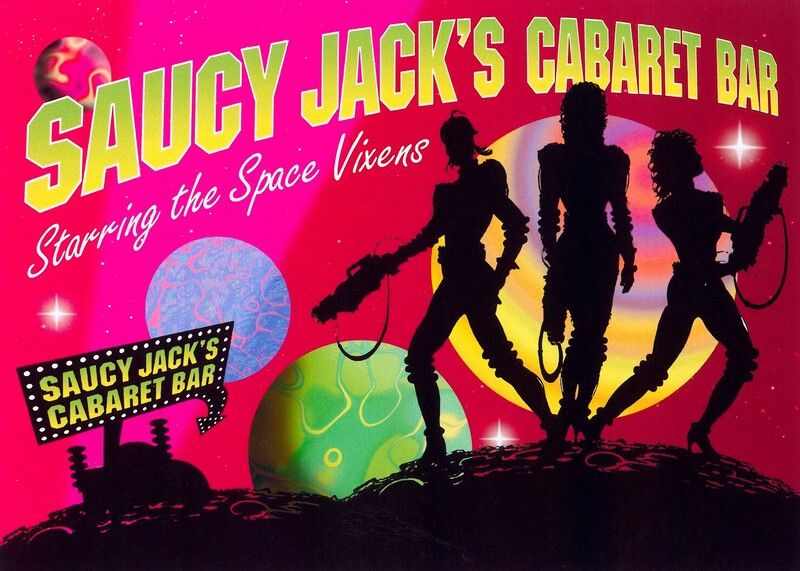 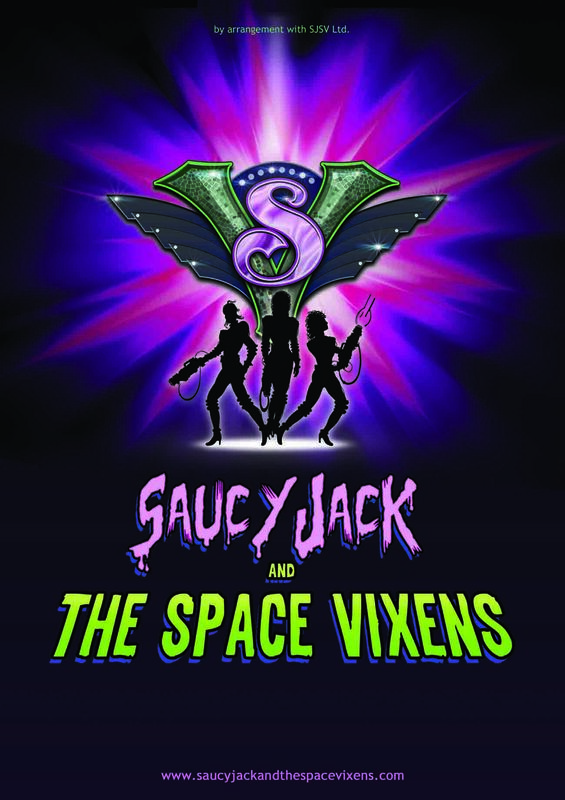 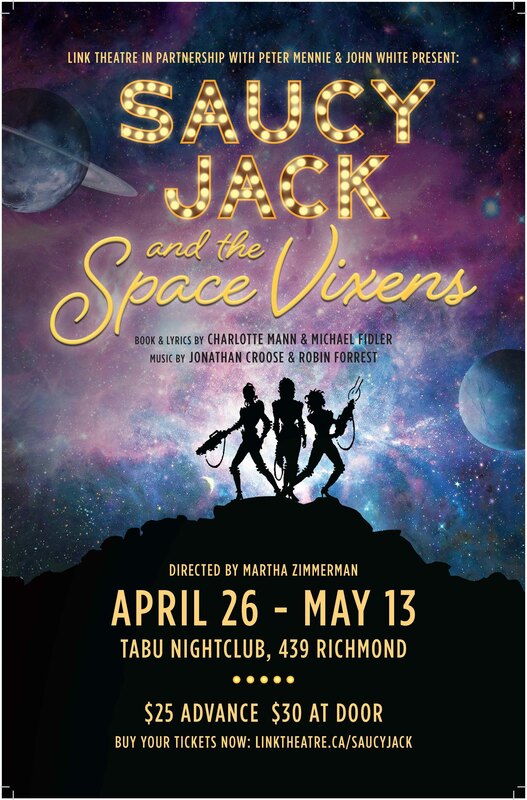 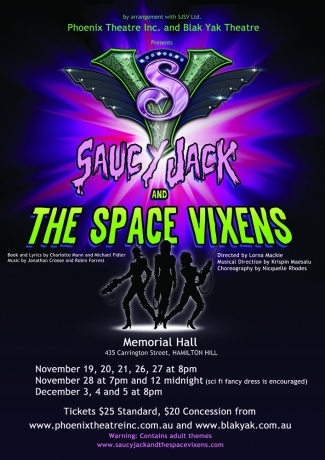 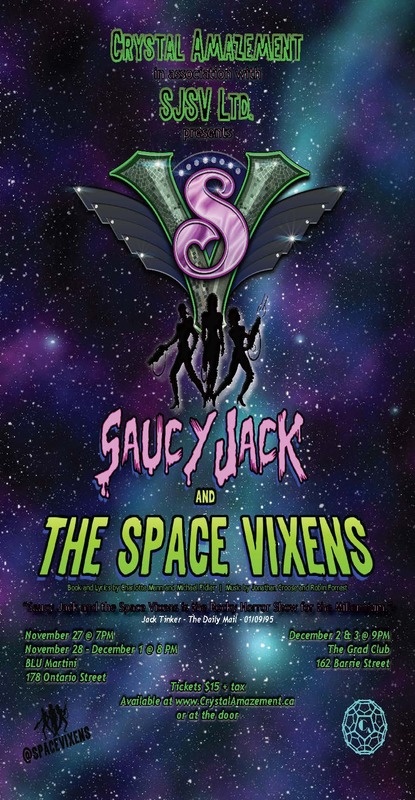 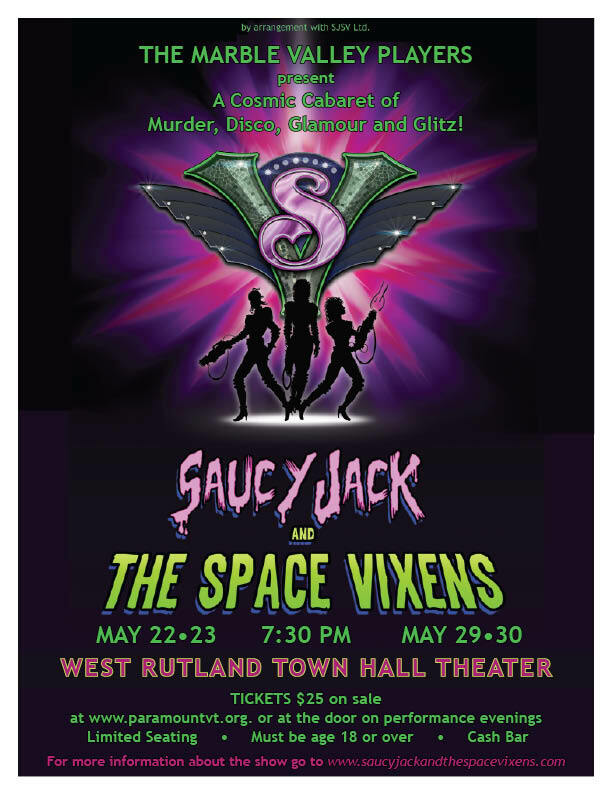 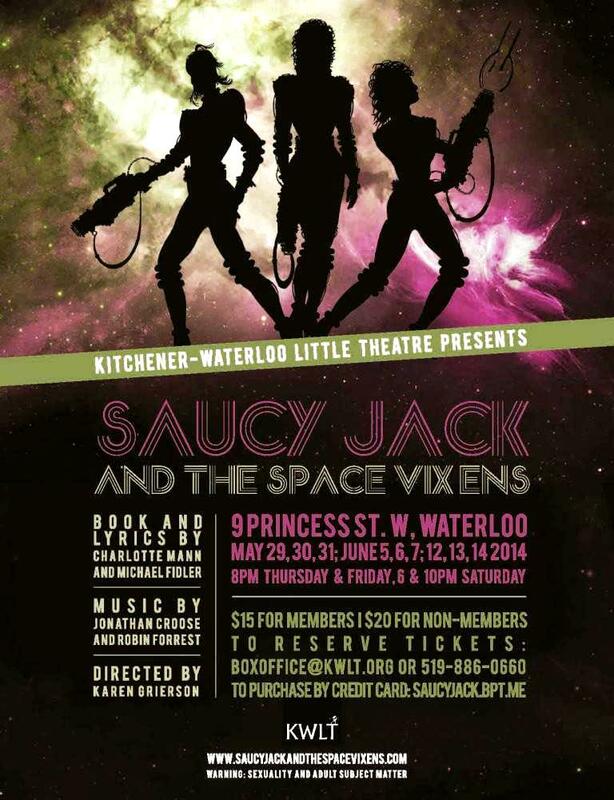 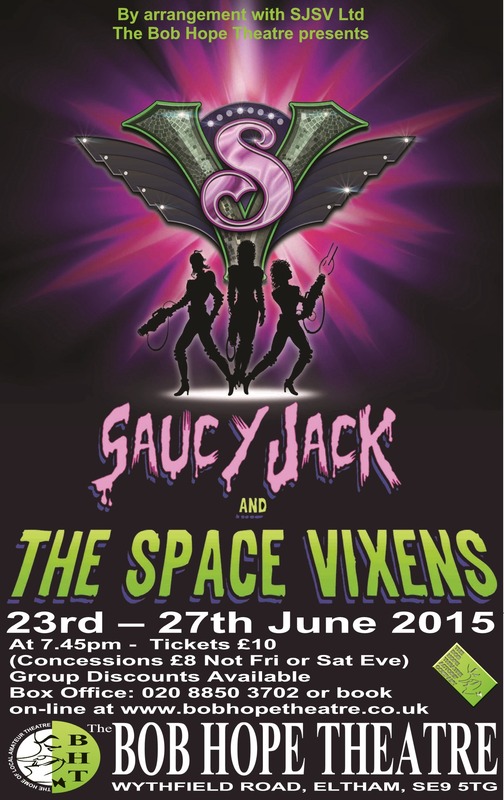 There are several logos and emblems associated with the Saucy Jack and the Space Vixens brand which are available for your use to compliment your print or media campaigns. 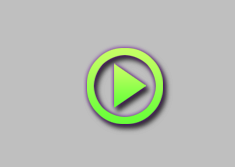 These are clean tracks for performance use only. 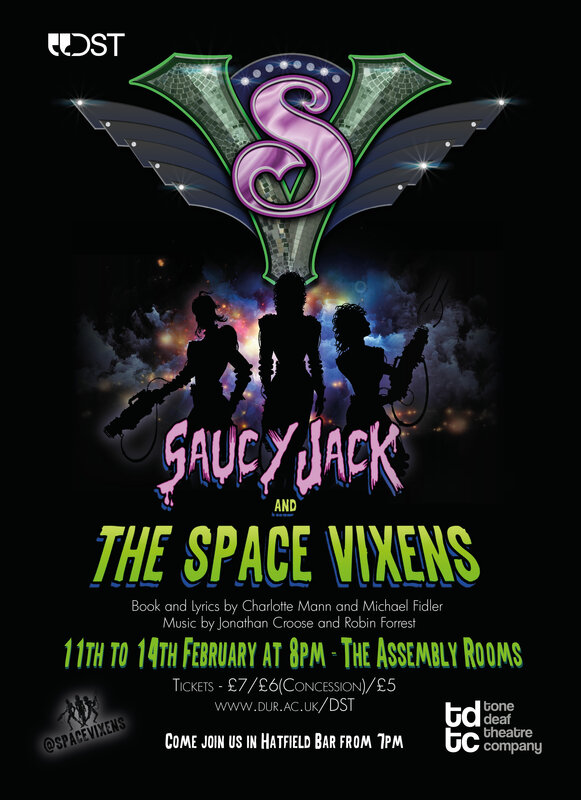 Each track has a cue number which corresponds to the sound cues in the script. 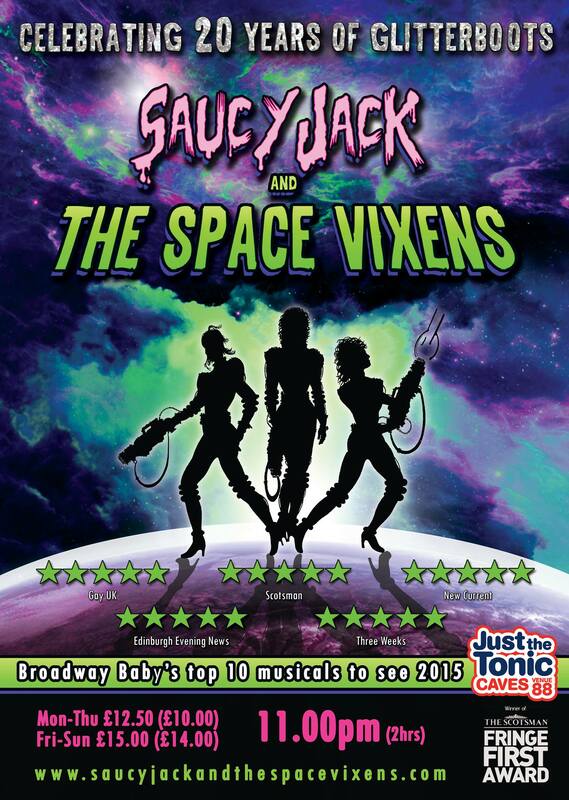 There are the songs, obviously, but also many underscores and all the sound effects you will need for the show. 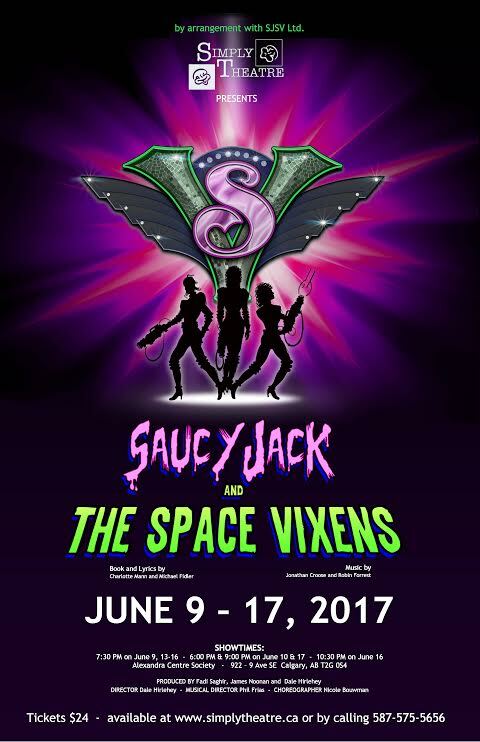 You are free to use them or not, as suits your vision of the show. 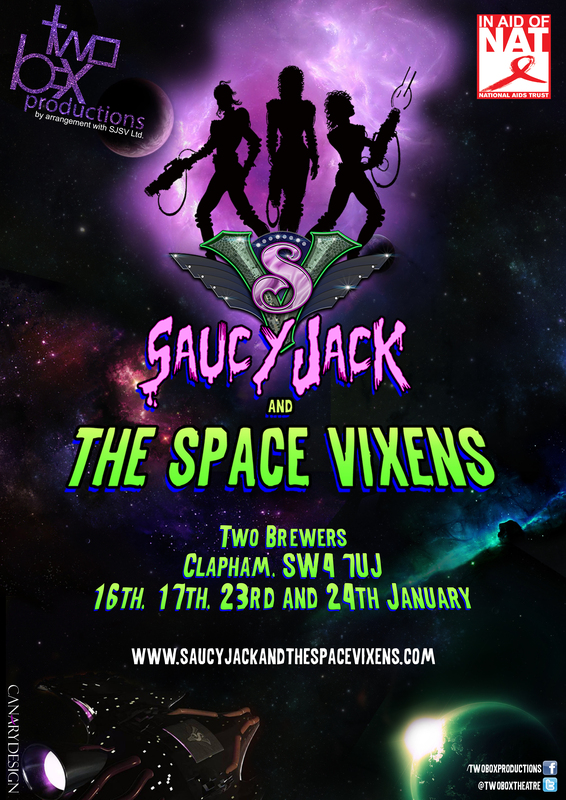 Tracks run in stereo with music on one channel and backing vocals (plus Sammy’s saxophone) on the other, giving you complete control over how loud you want the backing vocals or if you want them at all. 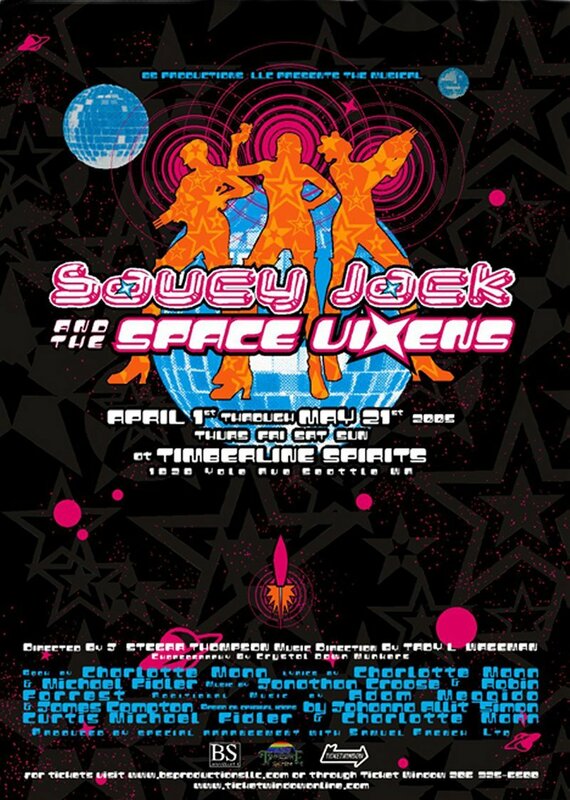 NOTE: Production tracks can ONLY be downloaded once. 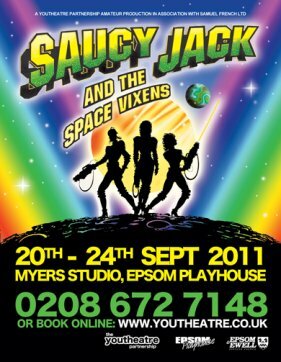 Should you need another download, please contact us directly.